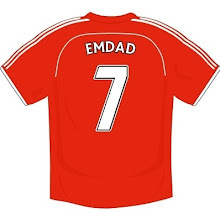 Emdad Rahman: In Autumn 1888 a sadistic serial killer rampages through London’s East End of London causing terror and mayhem in a bloodbath that will ultimately capture the attention of the world. Thanks to the mischievous creativity of a journalist, the silent killer who started off being labelled “The Whitechapel Murderer” is now universally acknowledged as "Jack the Ripper.” Hundreds of books and papers have been published on this dark episode in East End history. Documentaries are released regularly and conspiracists have a never ending well of realistic and downright bizarre theories to drink from. 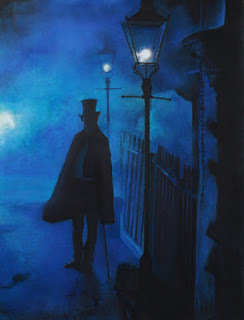 Established in 1982 by Richard jones, bestselling author of Uncovering Jack the Ripper’s London and the Jack the Ripper:- The Casebook, the original Jack the Ripper Walk transports visitors old and new through the dark and murky backstreets of the notorious Victorian era East End of London. Participants on the tour are led through the dark and very harsh world of the Ripper and his victims. The eerie walk lasts two hours and even though it was dark, wet and miserable when we visited, not a single participant left early. Highlights during the tour included a visit to the historic old building where a suspect worked as a barber in the basement. There was the the actual doorway in which Jack the Ripper may have scrawled a chilling message which read, "The Juwes are not the men that will be blamed for nothing.” This was controversially erased on the orders of none other than Sir Charles Warren. Some say it was to avert potential conflict involving the targeting of innocent members of the local Jewish community by local vigilante groups, whilst others point to a more sinister cover up. There is a walk down the dark and spooky alleyway along which a victim walked with Jack the Ripper in the early hours of 8th August 1888 and a saunter past the public house where Mary Nichols drank away her “doss” money shortly before her body was discovered nearby on 31st August 1888. There is a discussion point based on the night of the double murder on 30th September 1888 where it is acknowledged that the Police came closest to catching Jack the Ripper. It is also the night where the phantom like death merchant left behind the only clue as to who he was. There’s also the church tower on Commercial Street which was re enacted for scenes for Jonny Depp’s “From Hell.” There’s the rowdy pub where all the victims drank. It is quite possible that the Ripper mingled amongst them, drinking, chatting, getting to know them before luring the vulnerable women to their sordid deaths. Not far is the former convent where the Ripper’s last victim desperately sought shelter shortly before she was viciously murdered in the street opposite. The tour concludes at Mitre Square at the scene of the gruesome murder and mutilation of Catherine Eddowes. The tour guides present photographs of the sites as they were in 1888. The fainthearted will be asked to turn away as crime scene photos of some of the victims are also passed around. The guides are informative and authority’s on the subject. Their insight into this dark and murky world really is unrivalled. Our tour guide was historian Lindsay Sivitas, a published historian who has conducted original research into the Jack the Ripper crimes as well as being the leading expert on Sir William Gull, whom several dramas and films have effectively named as Jack the Ripper. Although the gentrification process is surely changing the character of the locality there are still original daily life features of the dark side of the East End to enjoy, talk about and photograph for memories. These include some of the old tenements used as “doss houses,” where punters could enjoy a good nights sleep in a hired coffin. There are still some cobblestoned streets in existence around the locality. The Jack the Ripper Tour is truly a journey into darkness. The cadaverous tales of one of the world’s most notorious serial killers will not only strike fear but excite and educate at the same time. A tour not to be missed. The Jack the Ripper tour takes place every evening at 7pm. The assembly point is outside exit 4 of Aldgate East Tube Station on Whitechapel High Street. The £10 fee is a mere pittance and is highly recommended for not only tourists but locals too.